The MCP73830 and MCP73830L are highly integrated, Li-Ion battery charge management controllers for use in spacelimited applications. The MCP73830/L devices provide specific charge algorithms for single-cell Li-Ion/Li-Polymer batteries to achieve optimal capacity and safety in the shortest charging time possible. 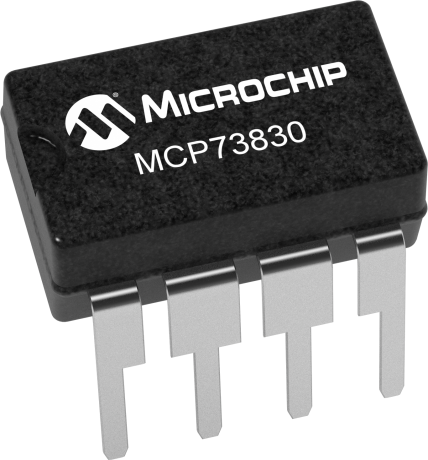 Along with its small physical size, the low number of external components makes the MCP73830/L ideally suitable for portable applications.